Our experienced technicians are highly skilled in walker and rollator repairs of any kids. From new brake installations, handle replacements, wheel replacements, and much more. Our technicians will also gladly install any walker accessories like cup holders, baskets, backrests and more. 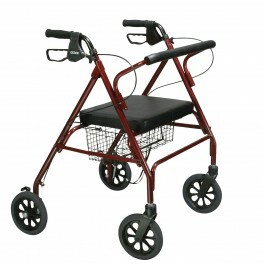 We work on a variety of different brands and styles of walkers. Call or come in today to get your walker or rollator restored to new.